Hanoi (VNA) – Vice Chief of the General Staff of the Vietnam People’s Army Ngo Minh Tien hosted a reception in Hanoi on March 19 for Director of the Policy and Strategy Department under the Thai Defence Ministry’s General Department of Policy and Planning Yuthakiat Luanpairin. During the reception, Tien affirmed that bilateral defence ties have been growing over the past years. 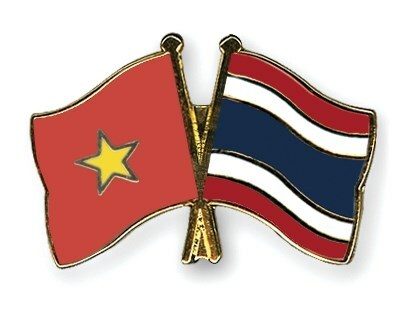 The defence cooperation agreement signed between the Vietnamese and Thai defence ministries in 2012 has brought practical results such as exchange of all-level visits and enhanced naval and air force cooperation, thereby strengthening friendship, mutual understanding and trust between the two armies. Luanpairin, for his part, said the military and defence collaboration between Vietnam and Thailand has developed fully and effectively over the past years.